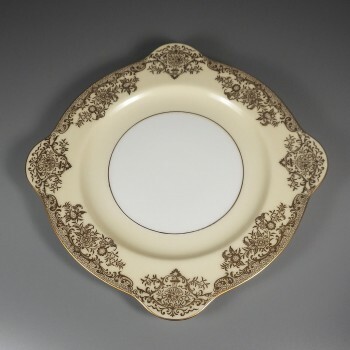 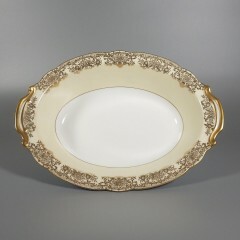 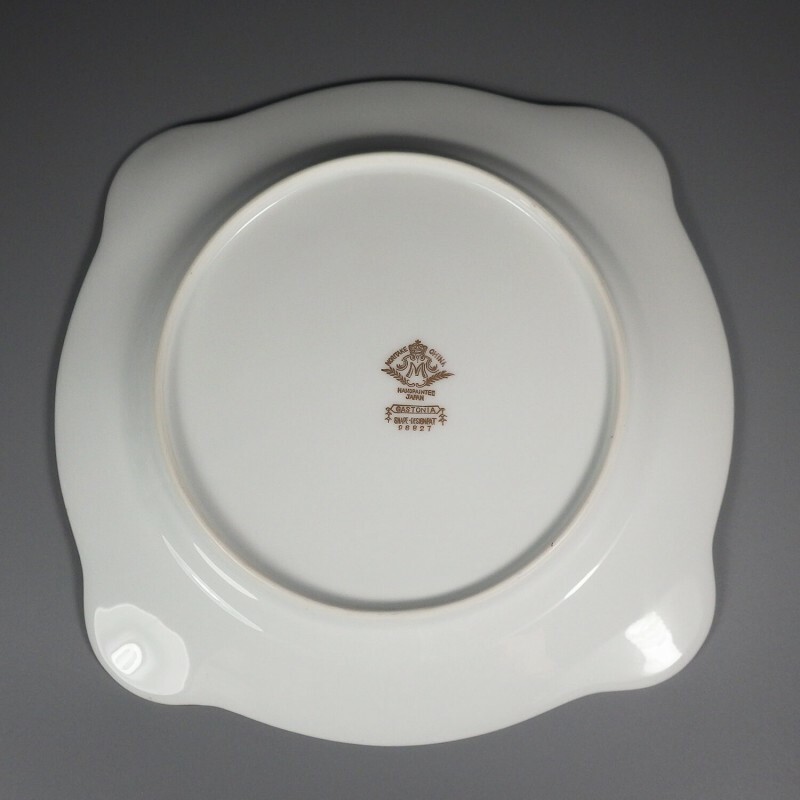 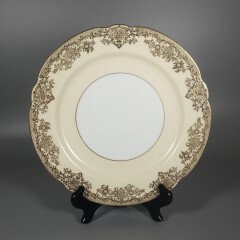 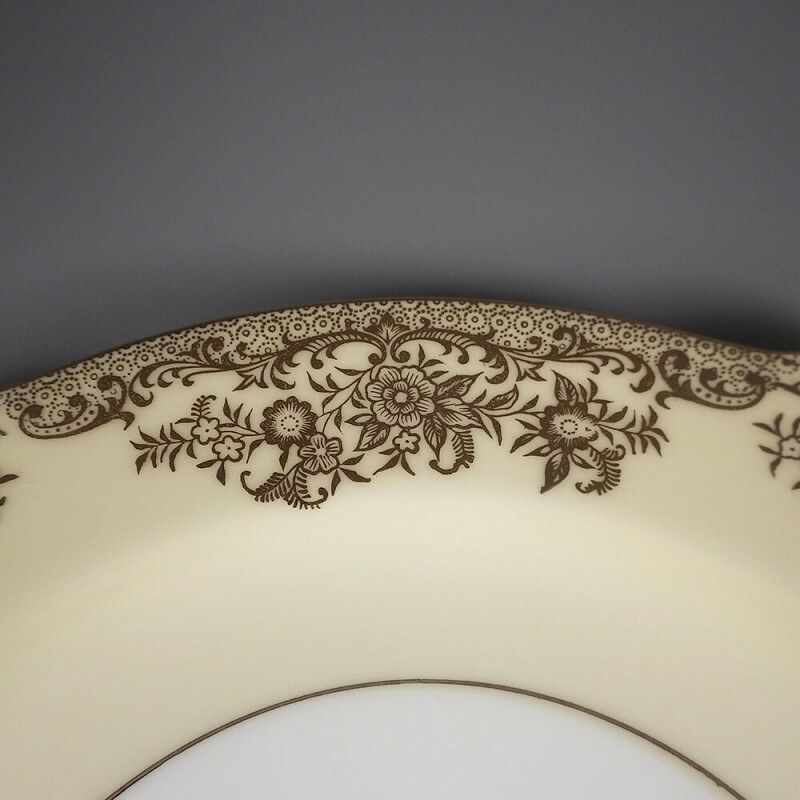 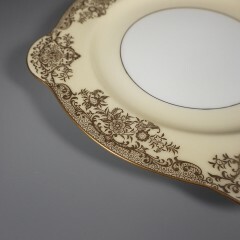 An elegant creamy ivory square Noritake Gastonia salad plate with an ornate floral gold trim. 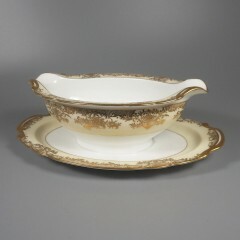 Measuring 8-3/8 inch, side to side, and approx. 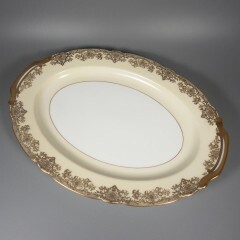 9-1/2 inch corner to corner, this plate size is perfect for light lunch dining as well. 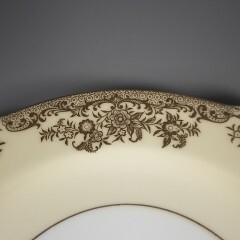 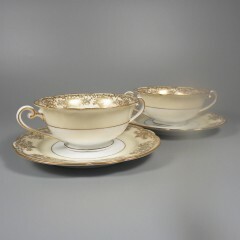 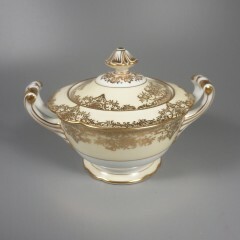 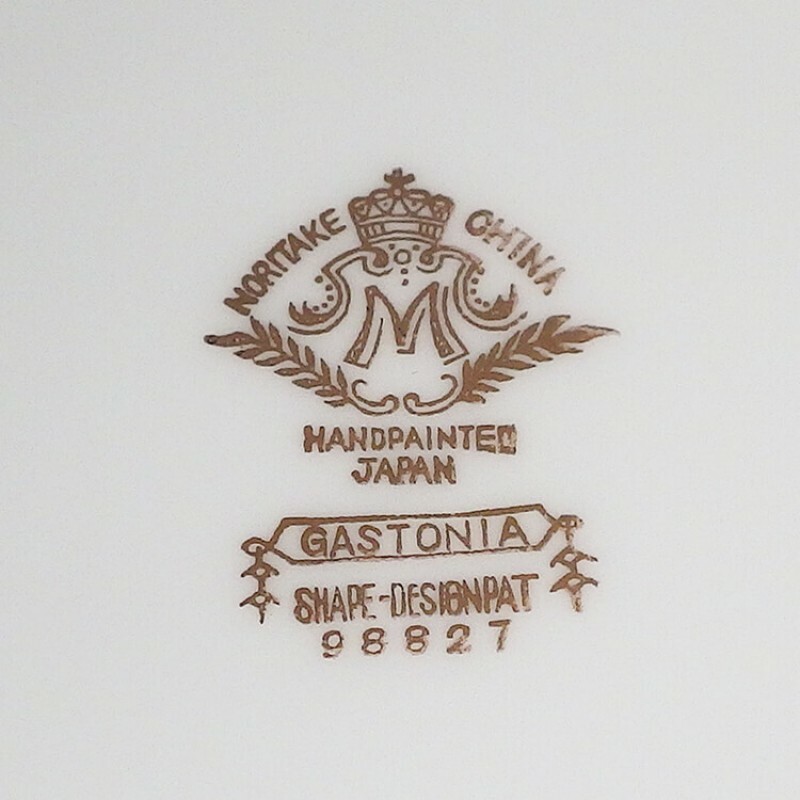 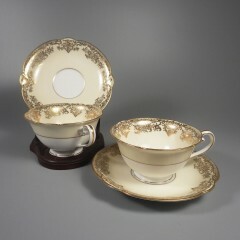 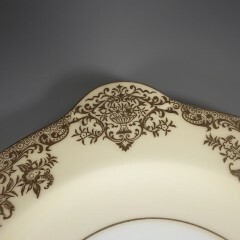 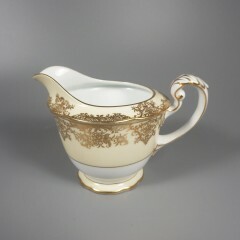 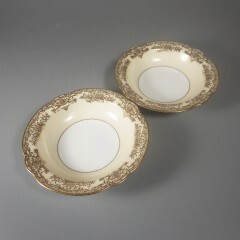 Marked in gold on the underside, as follows: Noritake China / Handpainted Japan / Gastonia / Shape Design Pat / 98827. 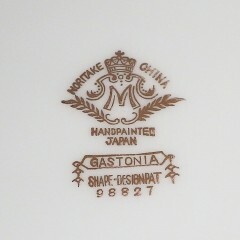 The Gastonia pattern was released in the 1930s and has since been discontinued. 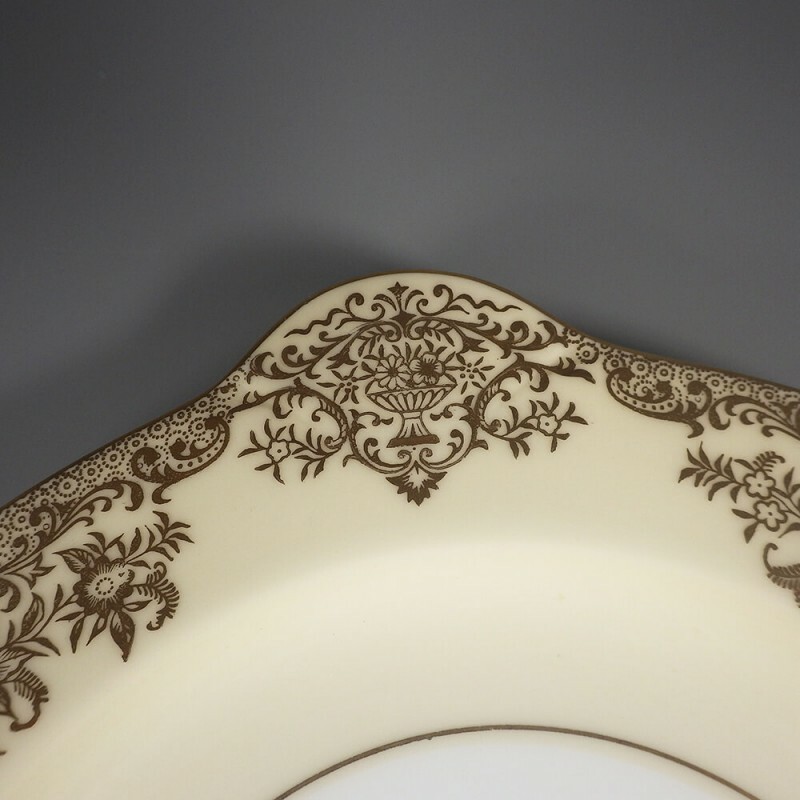 This salad plate is in excellent condition, with no nicks, chips, cracks, scratches or any other notable signs of use of wear. 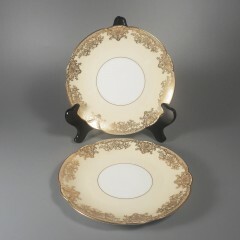 Looking to finish your Gastonia dining table settings? 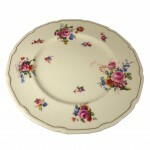 Please note I have multiples available, all in the same beautiful condition. 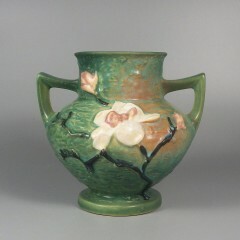 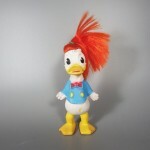 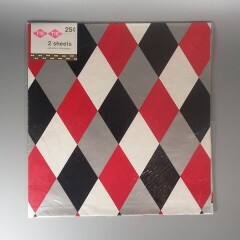 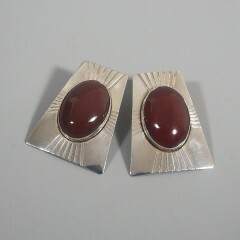 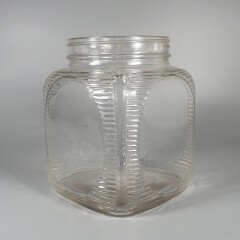 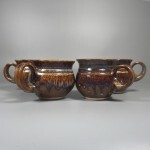 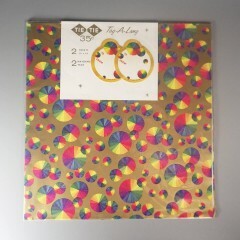 I also have other pieces in this same pattern, as shown below.